This blog is for our QuickBooks Online Integration. You can also read our blog on our QuickBooks Desktop Integration, or learn more about Troubleshooting QuickBooks Online Integration Issues with EZRentOut. 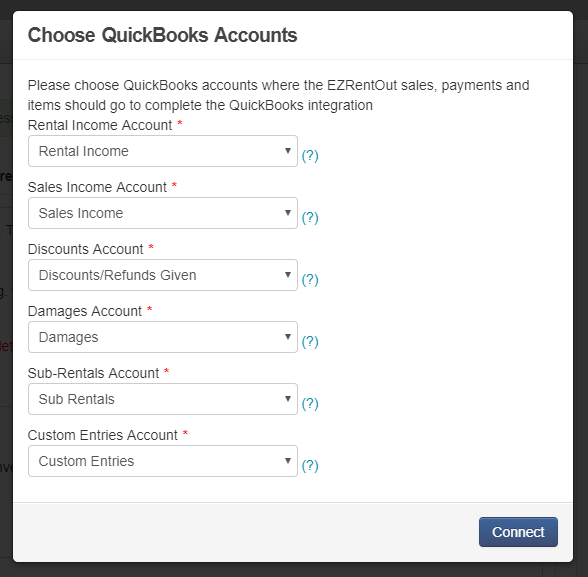 Start by connecting your EZRentOut and QuickBooks accounts. 2) Click the connect button 3) Intuit App Center pop-up will appear. 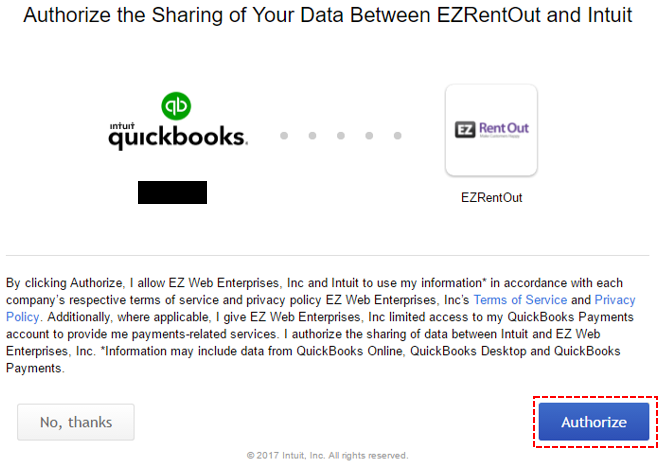 To ‘authorize Intuit to securely share your data to EZRentOut’, hit the Authorize button. This will connect EZRentOut and QuickBooks. Note: If you’re signed into QuickBooks before attempting this step, it’ll make things quicker. 4) Once you’ve signed in, you’d be asked to specify the Chart of Accounts for Sales, Payments, and items. 5) The next step is syncing your taxes. Before you start, it is important to know how to handle Manual Sales Tax and Automated Sales Tax in QuickBooks. For a detailed guide on the differences between these two, click here. Please note that this manual sync will delete all the taxes applied to the order within EZRentOut, and sync the tax over from QuickBooks. The order will then be synced directly to QuickBooks. And these are the 5 main steps to getting set up with QuickBooks online. Read on to find out how things map between the two platforms. EZRentOut manages rental and sale transactions through Orders. An order can go through various stages and is always associated to a customer. There is also an invoice attached to an order. You charge payments, apply taxes, add discounts, give refunds etc. in orders. 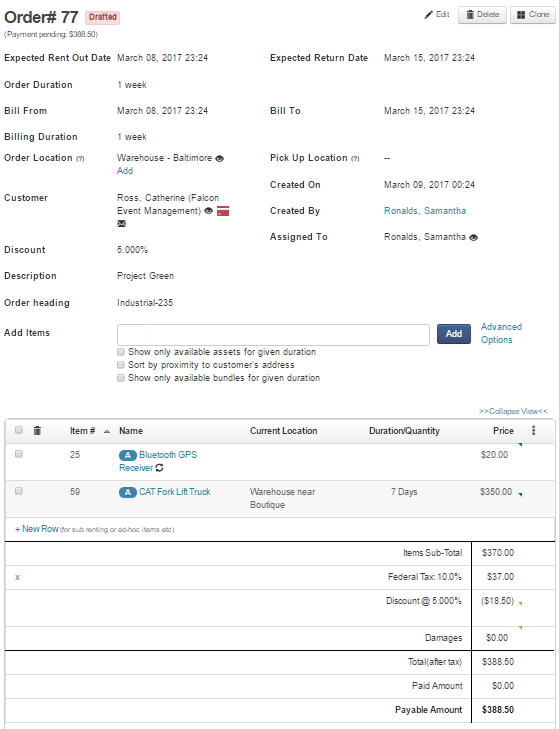 You can run reports on payments, finances, orders, customers etc. from EZRentOut -> More -> Reports or from QuickBooks -> Reports. – Returned i.e. marked Paid in QuickBooks. 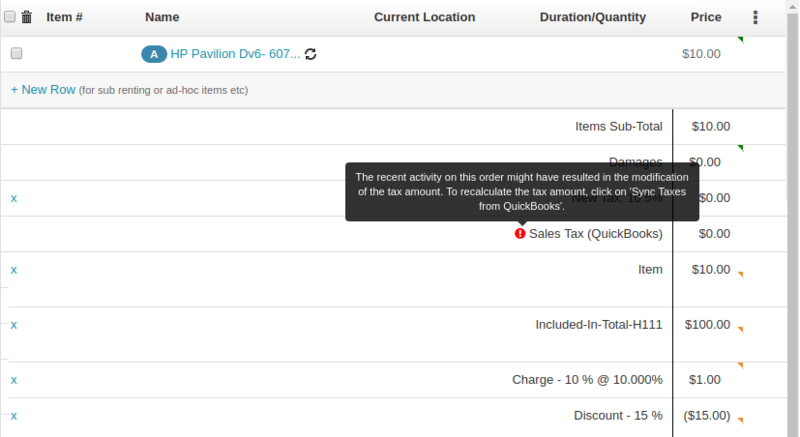 – Booked (based on the setting checked under QuickBooks Online Integration Add On). By default, this setting isn’t enabled. Also, when a booked order is canceled in EZRentOut, it’s invoice is deleted in QuickBooks. – You can manually sync any changes made to an order in EZRentOut with QuickBooks when you press ‘Sync Invoice With Quickbooks’ button shown on the order details page. This button becomes available once an order is rented out/booked (based on the settings enabled). When renting out an order, the customer is created in QuickBooks if they don’t already exist. Customer details and payments are synced whenever the relevant transactions are synced. – As mentioned above, any payment made either in QuickBooks or EZRentOut is synced. However, other details i.e. invoices, customers or taxes are pushed from EZRentOut to QuickBooks only. These details are not pulled into EZRentOut from QuickBooks. – When you enable the QuickBooks add-on, a new field appears with customers. It’s called QuickBooks Display Name (Customer -> Edit). All QuickBooks Display Names should be unique. This is automatically taken care of. However, if you change a display name in QuickBooks or EZRentOut, make sure to “Sync with QuickBooks” on customer detail page. I am receiving the error: “Failed to update invoice on Quickbooks: XYZ is deleted or is marked inactive on Quickbooks”. How do I proceed? 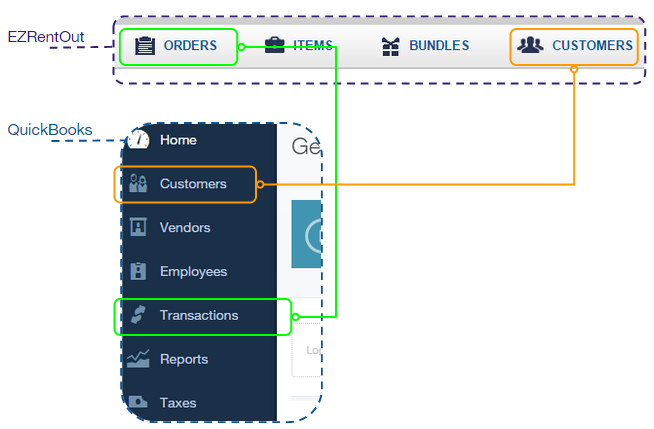 This entry was posted in [Support], Integration and tagged QuickBooks Online by admin. Bookmark the permalink.